Who is the dude in charge of the castle? Also the guy that seems to kidnap Princess Peach in every Mario Brothers game? It is the strongest fire breathing bad guy around. The one and only Bowser! He is known for being awesome at Mario Kart, just like your kid. 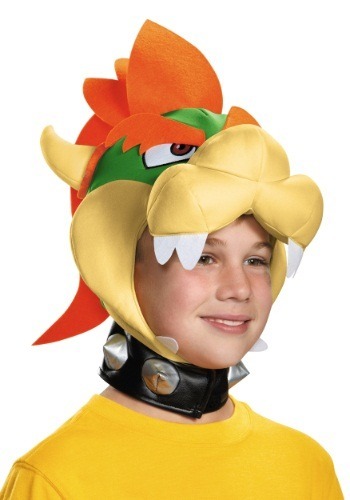 We can only assume this Child Bowser Headpiece will make your kid a Nintendo character in seconds. Helping him or her channel the inner Bowser and roar through the mushroom kingdom. Zooming through Mario Kart will be second nature with this soft-sculpted headpiece. 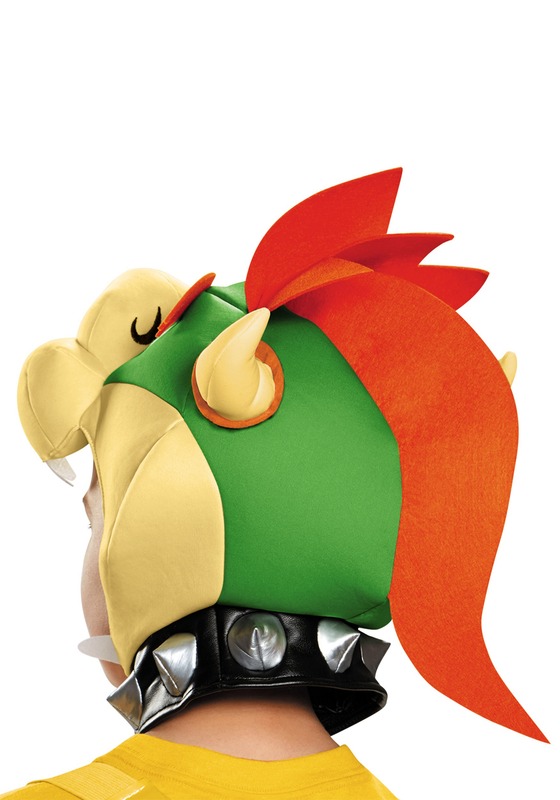 The foam collar fastens with Velcro under the chin so bowser's signature spikes stay in place no matter what the Mario Brothers leave on the road during a challenge. Stay sharp, you handsome villain!